The trustees are delighted to announce that the 2019 applications are now open for the Trillium Camp in Ontario, Canada. The camp will take place from 11-16 August with the two successful recipients being accompanied by a chaperone & instructor supported by Matt Murdoch Curling Foundation and Scottish Curling. The aim of the Matt Murdoch Curling Foundation is to fund two young Scottish curlers annually to receive top class coaching at the Trillium Camp in Ontario, Canada. The camp brings aspiring young curlers together from around the world giving them a chance to share training techniques, develop their own skills and establish new friendships. The Foundation was set up by Matt Murdoch's friends and family in association with Rotary, in his memory. Matt, from Lockerbie, who died in 2014, was a past President of the Royal Caledonian Curling Club and had captained the 2012 Rotary tour of Canada. A passionate curler all his life, he had contributed much to the success of junior curling in Scotland and support for and funding of the Foundation is a fitting tribute to his memory. 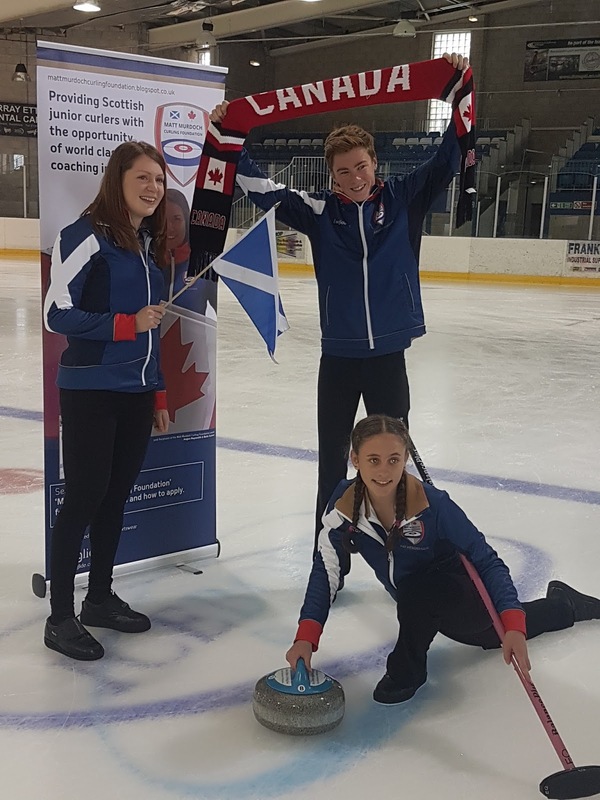 Andrew said ‘Getting to go to Canada and experience different coaching input is an opportunity of a lifetime, and as a local curler from Lockerbie who knew Matt well, I feel honoured to have been selected’. ‘As far as my experience goes it was 10/10 all round. The host family treated us like royalty. The coaching at the camp was the next level and I filled about 10 A4 sheets with new information; both the on ice and off ice sessions were fantastic. 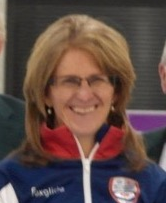 I feel the week really helped me develop as a curler as well make new friends who I have promised to meet up with again in the not so distant future’. Fay said 'First of all I would like to thank The Matt Murdoch Curling Foundation and everyone behind the scenes for this amazing experience. It was an amazing week; the accommodation was clean/secure, interesting on and off ice, coaches really helpful; we used lasers, split timers and video footage for visual feedback, & everything was well organised with lots of information before and during camp. Whilst at the camp I made lots of new friends and was voted as most valuable player - the vote was based on sportsmanship and etiquette as well as curling abilities and leadership! Chair of the foundation Nancy Smith said 'We at the Matt Murdoch Curling Foundation are delighted that the Foundation is achieving success in presenting exciting opportunities to encourage youth involvement and development in curling. Previous recipients have returned enthused by the friendships they have formed and the training they have received, and have become ambassadors within the sport. Trillium Camp Host Jim Waite said ‘We continue to be thrilled with this exchange. The young people that you have sent us over three years have been outstanding representatives of the Matt Murdoch Curling Foundation, Scottish Curling and your country. MMCF 2016. Powered by Blogger.